As a grant professional or an aspiring grant professional, you will learn the nine competencies of the "Grant Professional Credential" (GPC) and we will walk you through step-by-step how to use them effectively to give you a massively tactical advantage to win the grant for your nonprofit. As a seasoned grant writing for nonprofits professional, you have experienced success with a variety of grant applications. You have seen the difference that grants make in your community. Yet you are also always working to build your skills and increase the competitiveness of each application you submit for your employer or your clients. Competency 8: Knowledge of methods and strategies that cultivate and maintain relationships between fund-seeking and recipient organizations and funders. How to leverage advanced skills as a means to increase your proposal’s competitiveness. Knowledge of methods and strategies that cultivate and maintain relationships between fund-seeking and recipient organizations and funders. Whether you are considering pursuing the formal credential during your career or not, the review of these advanced tactics for each competency will help elevate your work as a grant professional. 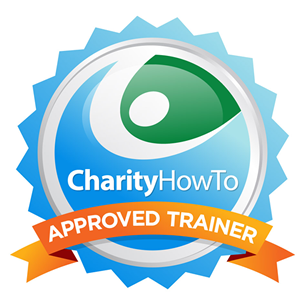 You have participated in beginner and intermediate nonprofit grant writing courses, webinars, or trainings. Diane H. Leonard, GPC is a Grant Professional Certified (1 of less than 400 in the world) and Approved Trainer for the Grant Professionals Association (1 of 20 in the world). Since 2006, Diane and her team have secured more than $53.1 million dollars in competitive grant awards for the clients of DH Leonard Consulting & Grant Writing Services. When not working with her team on grant applications for clients, Diane can be found in the 1000 Islands, out for a run, or drinking a strong cup of coffee.